For Violin, Cello and Piano. Composed by Antonin Dvorak (1841-1904). Edited by Klaus Doge. Sheet music. Henle Music Folios. Classical. Score and Parts. 84 pages. G. Henle #HN799. Published by G. Henle (HL.51480799). “At certain points it will be like a serious song, at others like a happy dance...” This was how Dvorák described the work which he was composing at the time to a friend in 1890. The word “Dumka” (plural “Dumky”) actually describes a Slavic dance-form with a noticeable alternation between melancholic and dance-like boisterous passages. 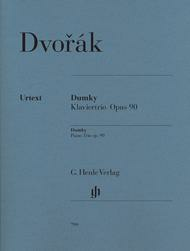 The Dumka is a recurring theme in Dvorák's chamber music; although always only as a single movement. 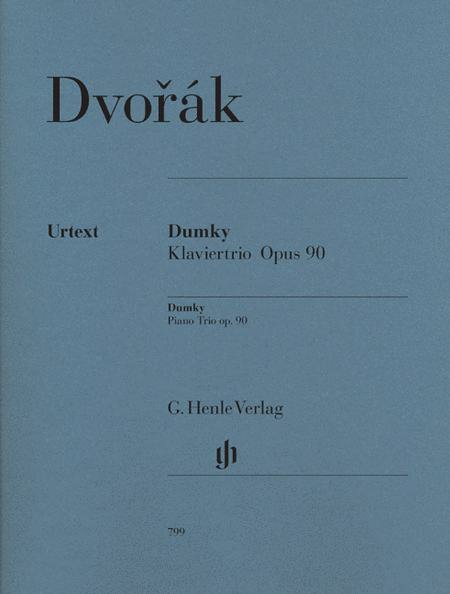 The unusual form of this piano trio – it has a succession of six “Dumky,” each with its own very distinctive character and great expressiveness – means that it is one of the Czech master's best-loved works. finger numbers. I would rather there were no fingerings at all. 12 of 19 people found this review helpful. any serious chamber music players. 11 of 28 people found this review helpful.